Riding in a limo is usually an experience that one will remember for a long time, as it is usually associated with a special event or moment in their life. 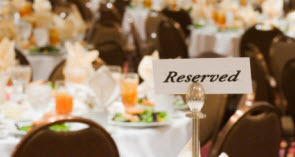 Weddings, prom, homecoming, birthdays or even fun family outings, all special occasions that is even more enjoyable when being transported throughout the town in a luxurious limousine. Limousines provide a level of coolness, comfort and flash for those that are riding inside. Arriving at an event in a limo gets everyone’s attention and makes you and your party feel extra special. Professional limousine companies spare no expense when it comes to making you feel luxurious. Unfortunately there are some limousine companies that overlook the most important aspect of you and your party’s night, and that is safety. Safety should always come first, and when you and your party are safe, you are more likely to have a fun night. Believe it or not, limousine accidents do happen, and sometimes they are caused due to the lack of regular maintenance performed on the vehicle itself. A limousine is just like any other vehicle in that it requires regular oil changes, tire rotations, brake inspections and other important tasks. Keeping a limousine in it’s top condition will assist in keeping you and your party safe on the road. When renting out a limousine, inquire about these important maintenance checkups and make sure that you and your party are safe and can rely on the limousine and its driver. 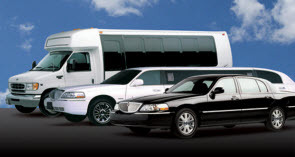 Limousines are large vehicles and can cause a lot more damage than a regular sized vehicle. It is important that your limousine driver take extra care, especially when driving throughout the busy city where people often step off of the side walk and into the street and pedestrians are everywhere. Staying alert, driving slowly and always looking out for other vehicles is imperative to a safe limousine driving experience. Do your homework when deciding which limousine service to go with for your night of celebrating. Pam’s Pretty Limousine’s takes every measure to ensure you and your party’s safety throughout your entire limousine experience. We take extra care in our vehicle maintenance checkups, make sure they are done regularly and that every limousine we offer is running in top condition to provide your party with not only the highest quality of luxury, but the greatest amount of safety as well. 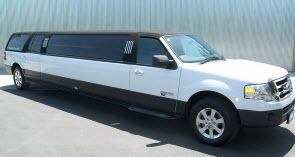 Contact Pam’s Pretty Limousines for the best and safest limousine experience available.